This genus contains the legendary Hendricksons and Sulphurs of the East and the equally important Pale Morning Duns of western waters. No scientific name in American angling literature is more renowned and at the same time capable of more confusion than the genus name "Ephemerella." 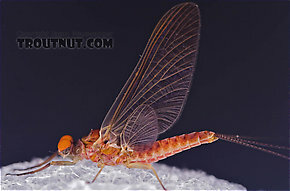 It is important that anglers have a good overall grasp of its taxonomic history if they are to make any sense out of the rich literary heritage involving this mayfly name. 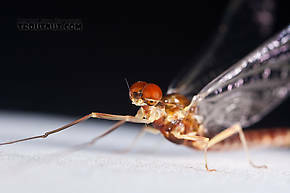 By the time American angling literature began to take serious note of entomology in the decades of the early to mid 20th century, Ephemerella was considered a "super-genus" in the family Baetidae, containing all of the important species to anglers in the subfamily Ephemerellinae. Taxonomists organized them by association with "type" species that were referred to as "groups" within this very large and unruly genus. This organizational structure held sway until the 70's when they were recognized as separate from the Baetidae with their own family, the Ephemerellidae. The "groups" (after a little name changing and reorganization) were given subgenus status, but in conformance with taxonomical convention,the nomenclature retained the use of the name Ephemerella when referring to individual species genus status. More change occurred towards the end of the century as consensus formed around the subgenera achieving full generic status. The broad use of Ephemerella was then dropped in favor of the new generic names. These changes were necessary in that they addressed many problems exposed in older taxonomies. Unfortunately, all during this period the changes were reported with varying degrees of accuracy and acceptance. For anglers this was exacerbated by the continued use and reliance on older entomology texts in many circles. 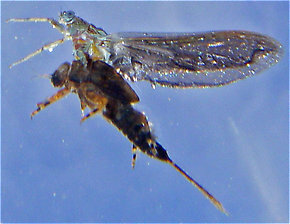 Be that as it may, recent or updated angler entomologies now recognize that many of the old Ephemerella species are spread out among several genera in the Ephemerellidae family. These include the various Blue-Winged Olives and Western Green Drakes of the Drunella genus as well as several important species scattered in genera like Attenella and Serratella, to name a few. Despite these revisions in classification, the Ephemerella genus still contains arguably the most important species in North America, and remains a "super-genus" to anglers. There is a lot of variation; refer to the genus species hatch pages for details. Ephemerella species inhabit most types of water and can be found at any time of the season depending on locale. This genus is very important in the East and Midwest, where the major species hatch in the spring and a few continue into the summer. In the West, the species comprising the Pale Morning Dun complex produce the superhatches of international fame that can be found somewhere in this vast region virtually the entire season. Habitat: Riffles if available, otherwise specific locations based on several considerations. The concentrated evening spinner falls of many species in this genus are some of the best fly-fishing events of the spring in the East. In the West, many mid-morning spinner falls have achieved legendary status. 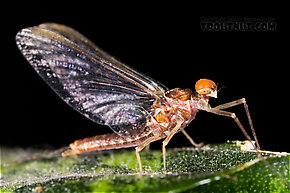 They are also one of the groups of mayflies prone to the unfortunate behavior of mating and ovipositing over blacktop roads hundreds of yards from the river. 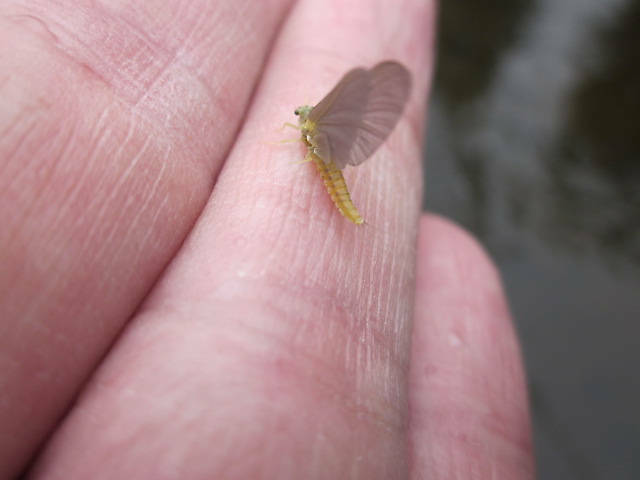 These mayflies look more like the Sulfurs I see on the Delaware system than the PMD's I see in Montana. 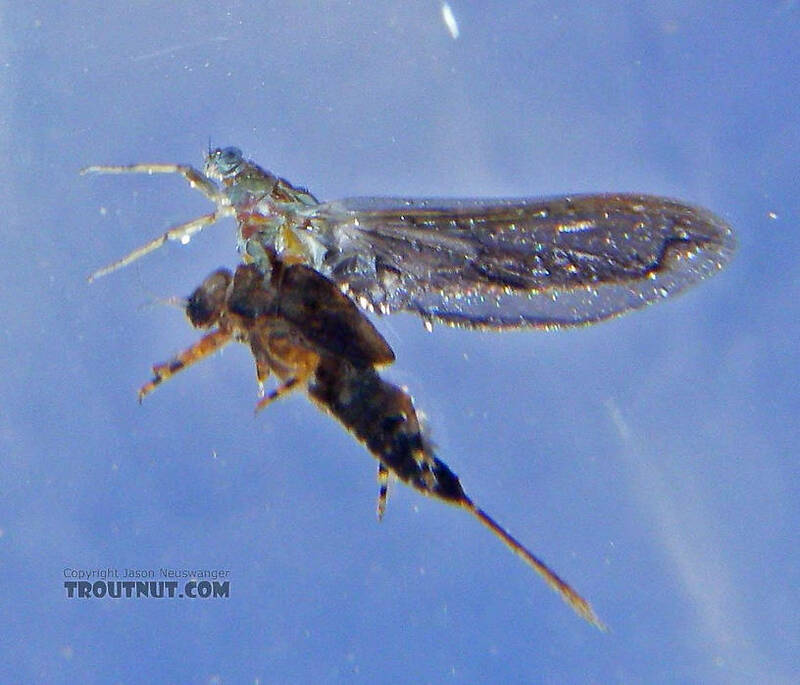 The Montana mayfly has a distinct yellow leading edge to an overall light dun gray wing and the abdomen and thorax have a more light greenish/yellow cloration so how is it that Infrequens is now known as Ep Dorothea Dorothea? The following is from an older post of Gonzo's. 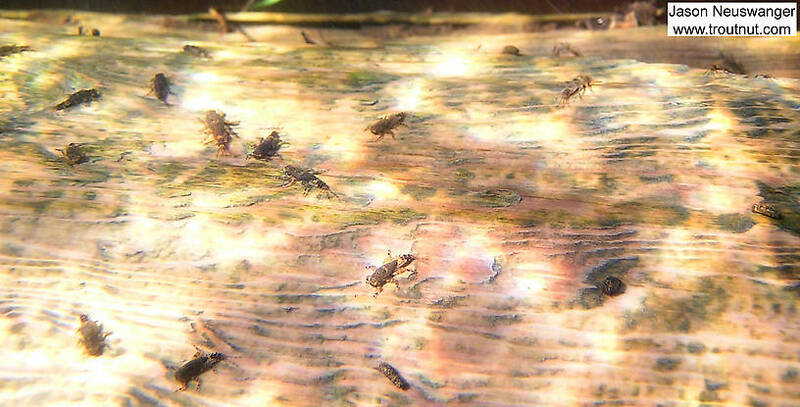 It's been my suspicion for quite some time that a good part of the credit given to dorothea for creating the later, lighter-colored "little sulphur" hatch should probably go to the same species (or species complex) that creates the earlier, larger, darker hatch--E. invaria. Many anglers who fish the small suphurs on valley limestone streams in my home state believe (or have been led to believe) that they are fishing the dorothea hatch. 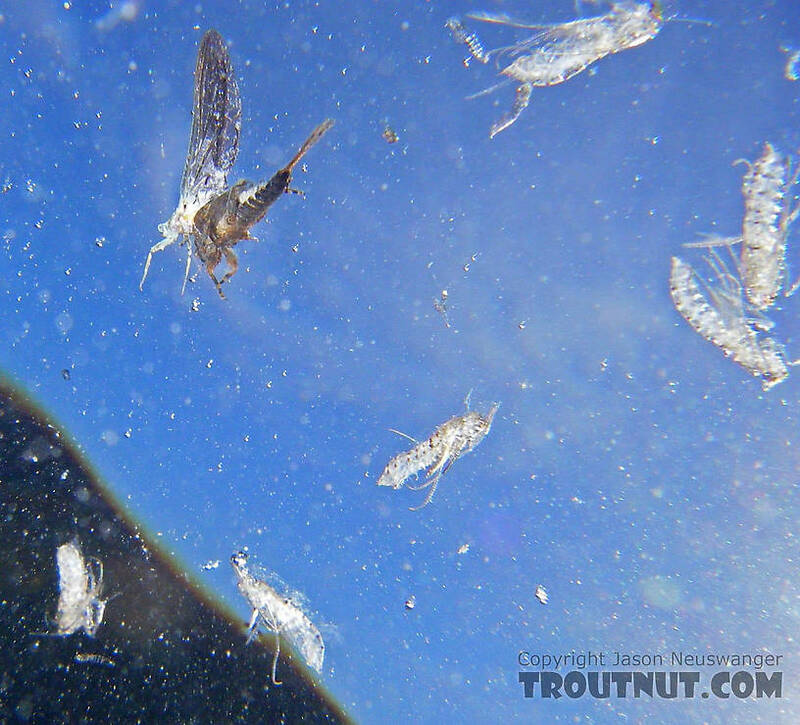 Close inspection of the mayfly that causes the activity usually doesn't bear that out. Most of the true dorothea hatches seem to come from mountainous areas where the streams are faster and have rockier bottoms. All of the specimens in this section are from PA, and this seems to provide a good case in point. This specimen and the nymph (#766) are good examples of dorothea, and they both came from sections of the Brodheads in the Poconos. The other specimens came from big limestoners and appear to be invaria. Notice that all of the dun and spinner specimens, except for this one, have banded tails (dark markings at the segments). As far as I know, this is not characteristic of the Eastern version of dorothea (E. dorothea dorothea), but it is a trait of invaria. I've often speculated the same thing as I've seen examples of eastern invaria that look virtually identical to some of infrequens out West. Compare the specimen I posted http://www.troutnut.com/specimen/1013 to this one of Spence's http://www.troutnut.com/im_user_ident/picture_219_large.jpg Any thoughts guys? Do any of you entomologist types know the true color of the PMD spinner? Dorothea or excrucians. Where I fish in MT there are huge spinner falls, many spents are on the water in the morning and others fall again at various periods during the day. I'd like to tie some with egg sacks as I saw many in July but forgot what color they were. Thanks. There are 11 more topics.